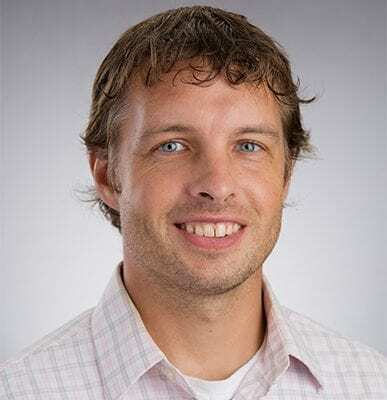 Dr. David Marancik is Director of the Aquatic Animal Medicine Research Laboratory and Associate Professor of Aquatic Animal Medicine, in the Department of Pathobiology. He teaches veterinary pathology and aquatic animal medicine courses. His research focuses on pathology and immunology of aquatic animals with a specific interest in fish and aquaculture, including exploring biomarkers of disease, infectious disease pathogenesis, and providing disease surveillance and diagnostics. Prior to joining SGU, Dr. Marancik completed a fellowship at the National Center for Cool and Cold Water Aquaculture and managed the diagnostic laboratory and veterinary services for Fish Vet Group-U.S.
Dr. Marancik earned his DVM from Iowa State University and worked in small animal practice before completing a residency and PhD in aquatic pathology at the University of Georgia.